The cruciferous family of vegetables is one of the richest food sources of glutathione. The most potent vegetable is brussel sprouts. Others include cauliflower, broccoli (particularly the flowers, not the stem), cabbage, kale, bok choy, cress, mustard, horseradish, turnips, rutabagas, and kohlrabi. 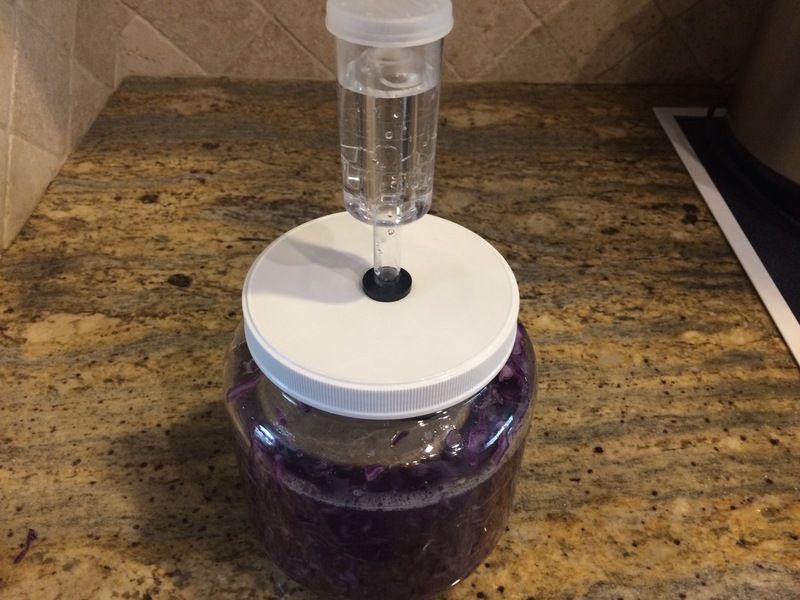 An easy way to get all the benefits from red cabbage is with my new homemade organic sauerkraut recipe! Nutrient-wise, red cabbage is a good source of vitamins C and K, and contains significant amounts of vitamin A precursors. It provides manganese, potassium, and small amounts of other minerals. Red Cabbage is high in fiber and very low in calories, yet it’s fairly filling, making it a good choice for those who want to lose weight, and pack a nutritional punch at the same time. Like other non-starchy vegetables, red cabbage fits easily into many different eating plans. 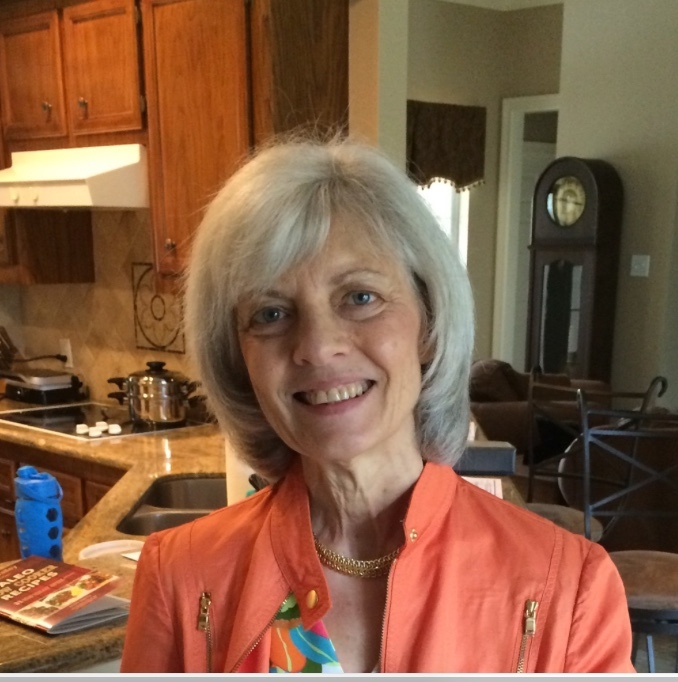 It’s right at home in diets as diverse as Paleo, low carb, low fat, ketogenic, vegan, and vegetarian. It also hits a home-run for versatility. It can be eaten raw, cooked, fermented; or for those who avoid grains, it can be used as wraps for other foods. 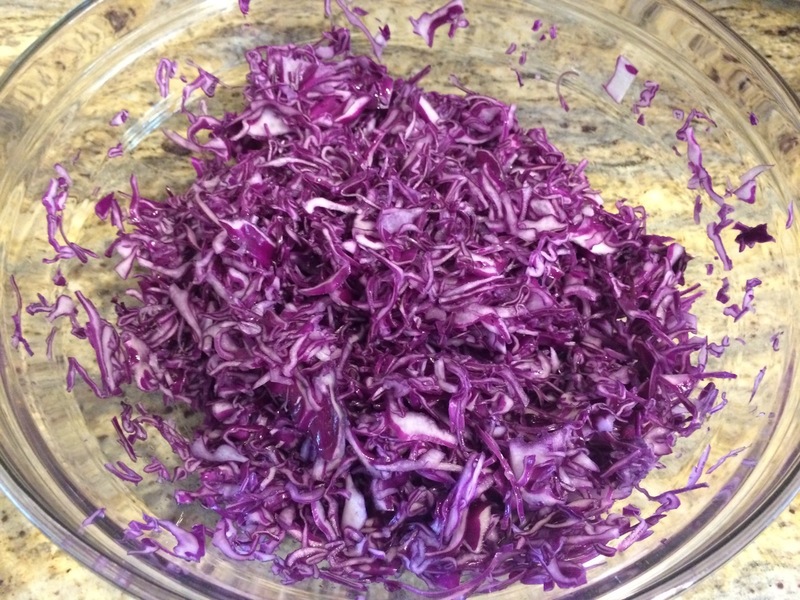 Red cabbage makes a crunchy coleslaw or it can be braised or baked for a super healthy side dish all year long. Cruciferous Veggies Are Loaded With Nutrients and Antioxidants! Cruciferous vegetables have been encouraged in many integrative cancer regimens because of the significant amount of sulfur in them. These sulfur compounds are necessary for our body to detox properly. Their name was derived from latin roots meaning a flower that looks like a crucifix—hint —hint (yay God)! This group of vegetables is well known as one of the best whole food sources of glutathione precursors. Glutathione is known as your master antioxidant vital for eliminating the burden of toxins and heavy metals we are exposed to daily. Cook a Variety of Nutrient Dense Foods With the InstantPot! When preparing organic nutrient dense foods it is important to have a variety of raw, fermented and cooked veggies. One of the most cost effective and healthy ways to cook foods is with the InstantPot. This device ensures that maximum vitamin retention occurs. Make sure you use the 6 or 8 quart pot for the most effectiveness! 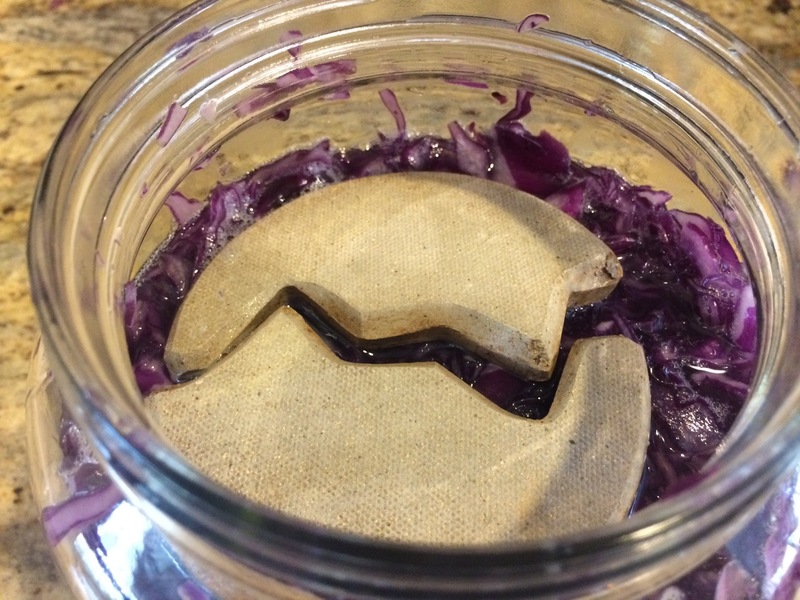 Easily get Your Probiotics With Fermented Sauerkraut! Fermented raw dairy and vegetables have been staples in the diet of many cultures for thousands of years. The billions of probiotics that are available in each serving of sauerkraut gives you a double bang for your buck. I enjoy making an assortment of cabbage dishes almost daily, but my family has been especially wild over this sauerkraut that has become a staple in our home. It costs pennies a day to make, and a batch is ready in just 5 days. Check out my recipe below! I love this fermenting jar, and hope that you enjoy making many years of healthy ferments with it. This is the new solid bamboo vegetable tamper I am using (look for no dyes or chemicals used in finishing). I also get my Himalayan salt from Amazon too! 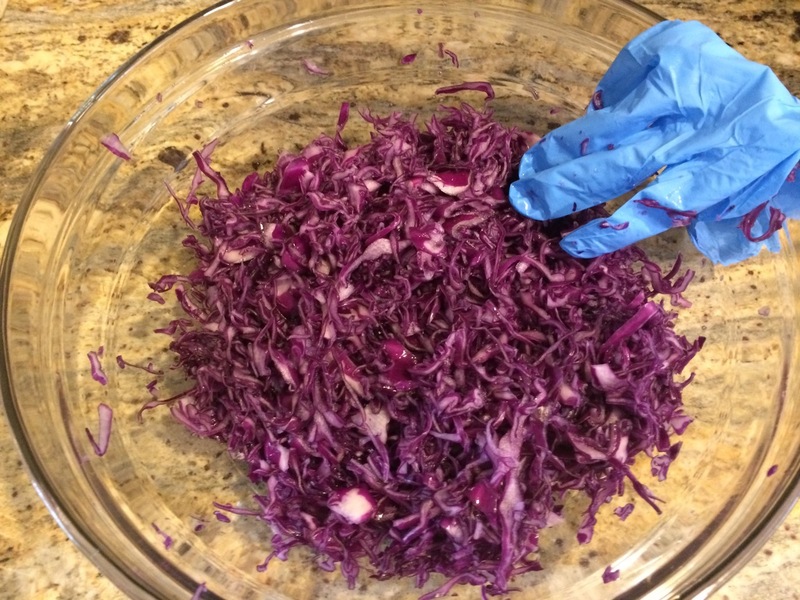 Shred in a food processor or chop by hand one head of red cabbage in thin slices. I would use a heavy glass bowl to mix this in (metal reacts with the salt). 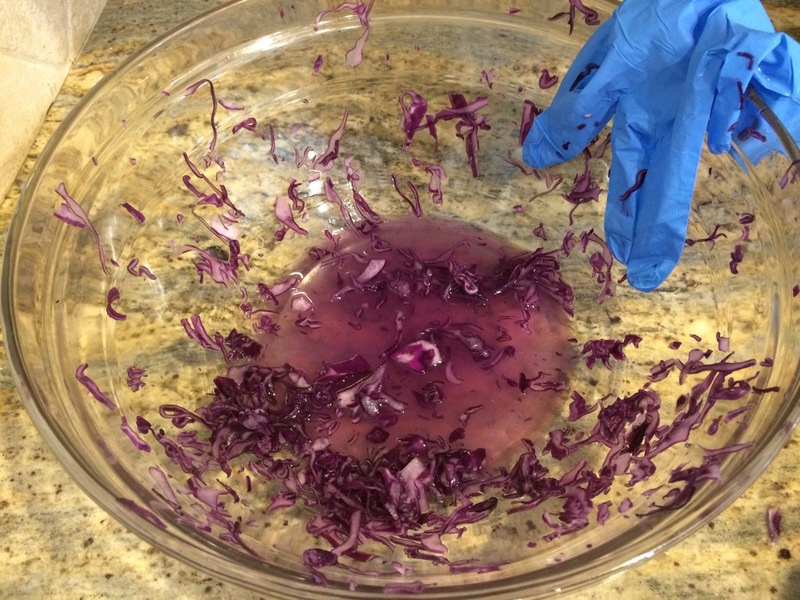 Using a food safe glove so you don’t dye your hands purple-sprinkle 1 Tablespoon of Himalayan pink salt on the cabbage and begin to massage for approx 3 minutes. Let the cabbage sit for an additional 5 minutes and the cabbage will begin to weep. Tamp the mixture with a NON-STAINED (no toxins please) vegetable tamper until it has produced more moisture. Put the mixture into a glass fermenting jar and mix an additional approximately 1/2 cup filtered water (you want the cabbage to be slightly under the water line) with approximately 1/2 teaspoon salt and put over the cabbage that is tamped down in the jar. 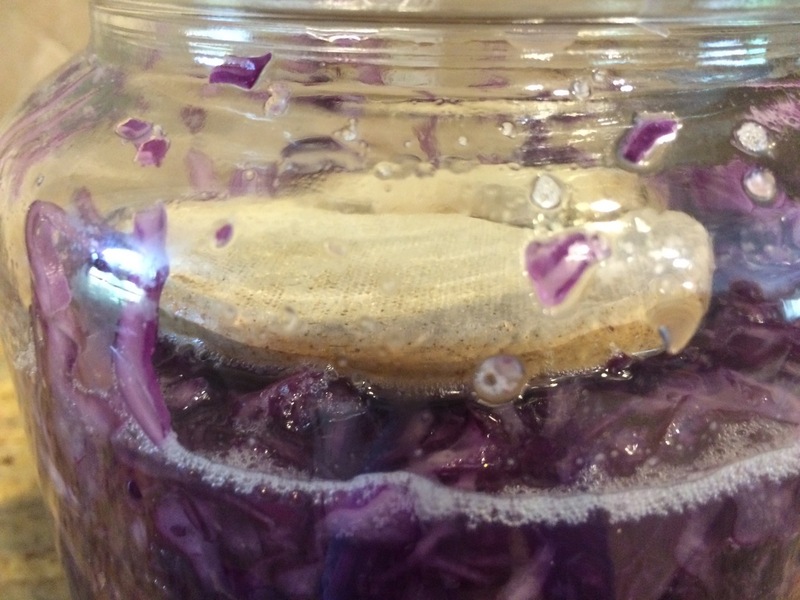 Place the fermenting stones on top of the cabbage and place the fermenting lid on the jar. Fill the fermenting valve with water to the fill line, and fit into the top of the fermenting lid. Set in a warm dark place (mine is my utility room) and ferment for 5 days. You can ferment longer than this, but you might want to taste it and see if it is tart enough for you. Some people have fermented their sauerkraut for months!